Leading Manufacturer of steel casting from Mumbai. We are manufacturing and exporting Industrial steel Casting of premium quality. 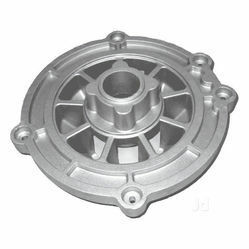 The massive range of products include various types of alloy castings like mild Steel Casting, Aluminum Alloy Casting, Alloy Cast Iron Castings , brass casting, carbon steel casting ,etc. To ensure that these products can cope up with the products of the international markets in terms of quality, the British guidelines are followed in the manufacturing process. With a wider perspective of technology and infrastructure, we have equipped ourselves to manufacture the products that are totally performance oriented and can last for a longer period.